Over the last couple of months we’ve had a lot of people asking us about the process of wrapping a vehicle. How long does it take? Why does it take this long? Why do you do this? Why do you do that? There seems to be a perception that when we wrap a vehicle, we simply get it, slap on some vinyl and send you on your way. Honestly, we wish it was that simple! Unfortunately, there’s a little more to it than that, so we thought it would be a cool insight to document a full wrap from start to finish, and let you see what goes into a beautiful new wrap. This article will document a full color change wrap, from stripping the old wrap to installing the new one. Of course, for digitally printed wraps, you have all the design and print steps, but for the sake of simplicity, this will follow a standard color change. The first thing we do when we receive the vehicle is inspect it. We look for any blemishes, dents, dings, faded paint, etc… anything that may affect the wrap. If anything of concern arises, we notify the customer and recommend a course of action based on the issue. 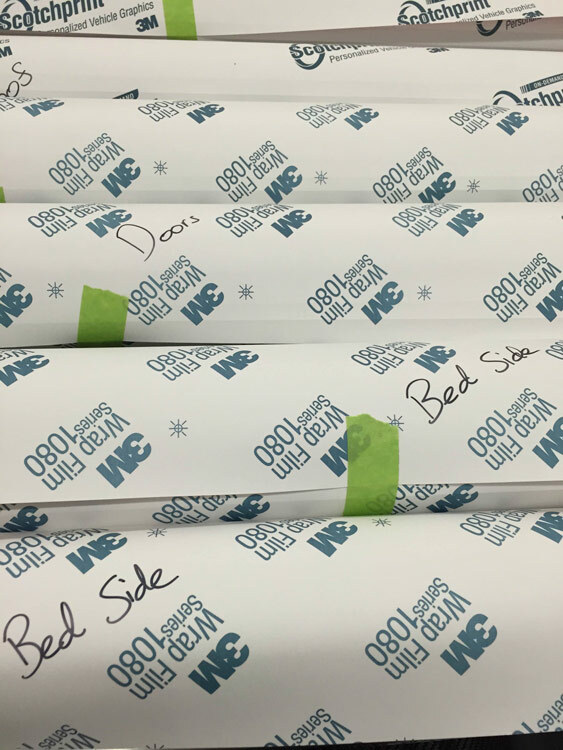 Most of the time, there are no significant issues that will affect the wrap quality. This isn’t a common step, but sometimes it’s necessary. 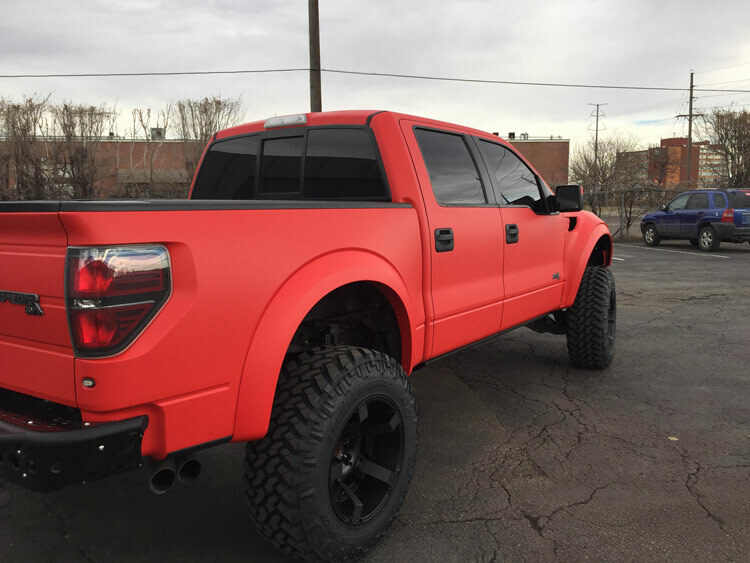 In this case, the Raptor came to us with a Matte Grey Metallic wrap that needed to be removed before we could install the new one. Removing the old wrap requires a delicate combination of heat, technique and a fair amount of elbow grease! Vinyl is tough, so heating it up to stretch, relieves some of the force needed to remove it. There is no need to worry about it pulling up the paint with it, it doesn’t happen, unless the paint was flaky to begin with before the vehicle was wrapped. The Raptor is stripped, removing the matte grey vinyl, to reveal the black paint. This is by far one of the most important steps in the process, and one that is often overlooked by too many installers out there. Cleaning and prepping is a huge factor in the durability of your wrap. If the surfaces aren’t cleaned of any grease, dust or debris, the vinyls adhesion is greatly reduced. It’s really, really important that all the surfaces the vinyl will be sticking to, are as clean as possible, to ensure maximum effective adhesion. Along with cleaning, comes vehicle preparation. This includes stripping as much of the vehicle trim as possible, to ensure that the vinyl wraps into all the curves of the vehicle, and ensures complete coverage. Wrapping behind and under trim also helps extend the life of your wrap, as it becomes harder for debris and the elements to get under the vinyl. We aim to remove as much trim as possible. 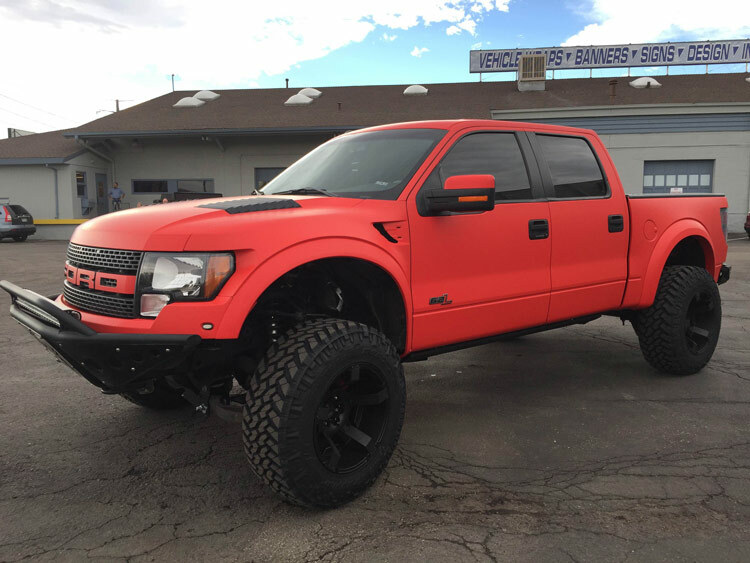 For the Raptor, we removed the rubber trim around the windows, all badges, headlights, tail lights, front bumper, wing mirrors, and loosened the door handle fixtures. The Raptor after clean & Prep. Headlights, trim, bumper, mirrors are all removed. Once the vehicle is prepped and ready to go, our installers will get a lay of the land. They will decide how they are going to lay the vinyl, where they are going to need relief cuts (if necessary), how they are going to wrap difficult contours, and measure how much vinyl they need for each part. Once they’ve made notes of everything, the vinyl is then cut and labelled, and the wrap is ready to be applied. Rolls of labelled vinyl, ready to be installed. Wrapping the vehicle takes place panel by panel. Typically our installers begin with the trickiest parts, as these are often the most time consuming. 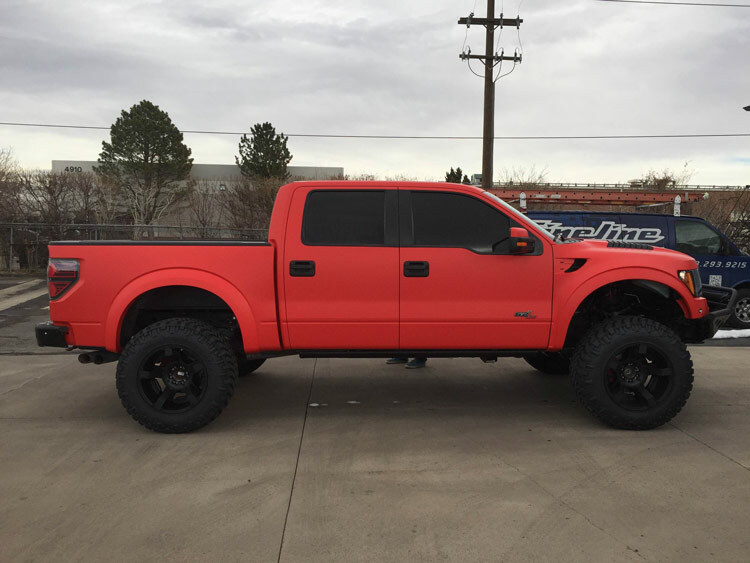 When it came to the Raptor, the install team began with the front fenders, as the curves provided the greatest challenge, when it came to getting a smooth, seamless finish. The Truck bed being wrapped. Relief cuts are cut in the wheel well to help the vinyl form around the curve of the arch. After the fenders, the team moved on to the front bumper, door panels and truck bed. 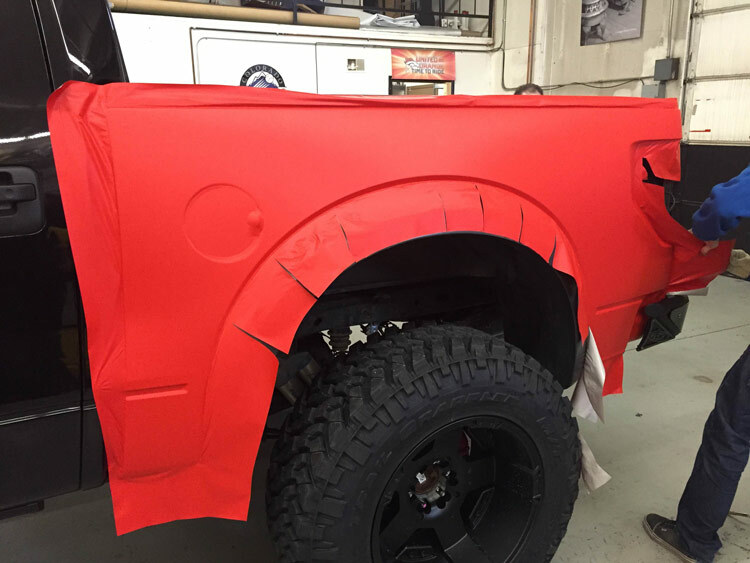 When wrapping with the Matte red material, the team had to take extra care not to apply too much heat, to avoid creating light spots on the vinyl. The team uses heat to help remove bubbles from the vinyl and also help the vinyl form to the contours of the vehicle. One side of the Truck bed fully wrapped, with the exception of the fender. Finally, detail such as the wing mirrors and trim are wrapped according to customer spec. Wrapping trim, often creates an even more unique look that many customers are after. 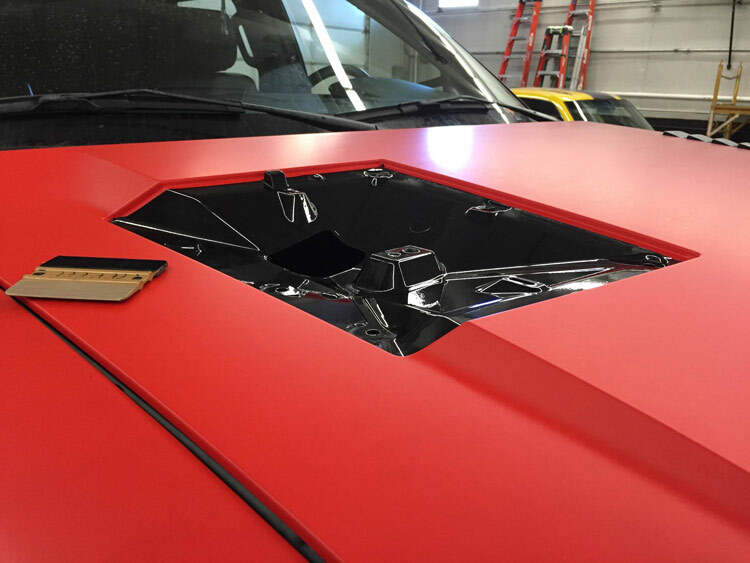 The hood vents are removed to allow for the vinyl to be wrapped around and under the hood. 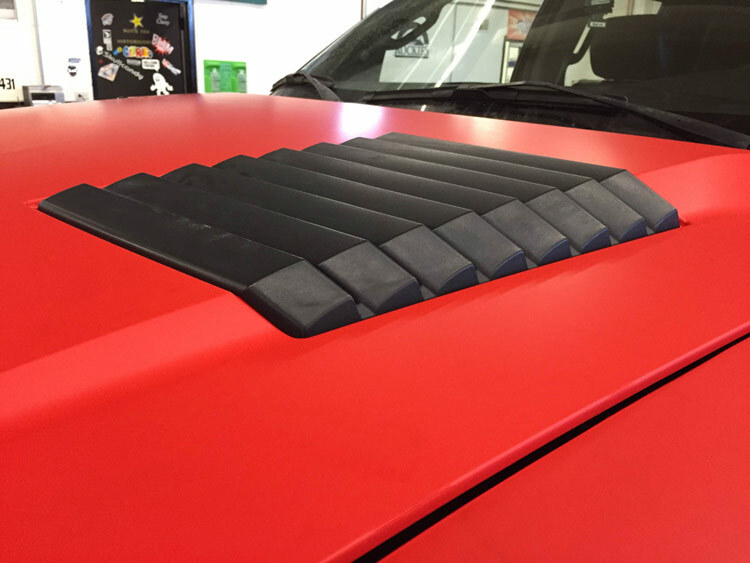 When the vents are reinstalled, having the vinyl wrapped underneath, creates a seamless, paint-like effect. 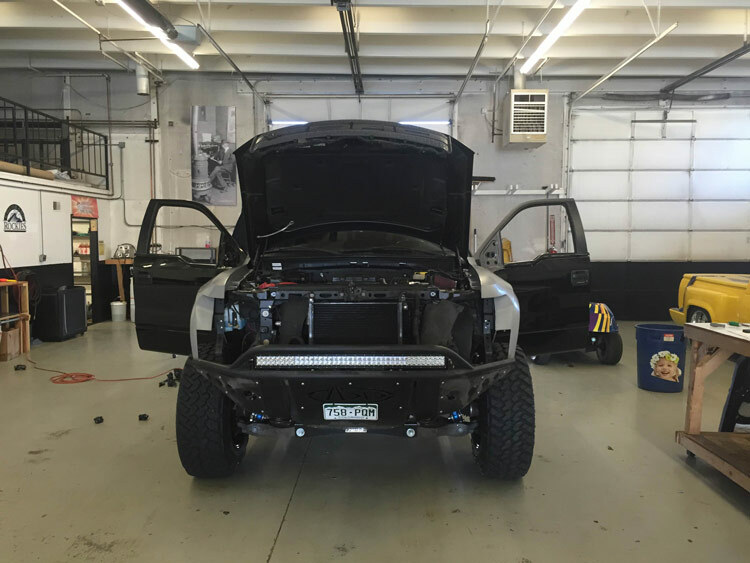 Once the wrap process is complete, all the components removed from the vehicle are reinstalled. Everything from the bumpers to the badges, are carefully placed back onto the vehicle to ensure the vinyl isn’t scratched in the process. The vehicle is wiped down and cleaned, removing any marks left from the install. The vehicle is then checked by the installers for any blemishes in the wrap. 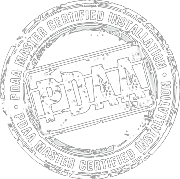 Once it has been checked, it is rechecked by the install manager to ensure nothing has slipped under the radar and the wrap is of the highest quality possible. The vehicle is done and ready to go! Depending on the size and difficulty of the vehicle, getting from step 1 to here can take anywhere from a single day, to a whole week. 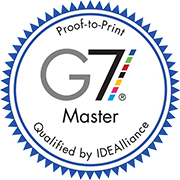 We value the quality of our work, and don’t like to rush, just so we can finish quickly. Once the customer arrives, we walk them around the vehicle, make sure they are happy with the finished product, and then walk them through the best ways to look after their brand new wrap! 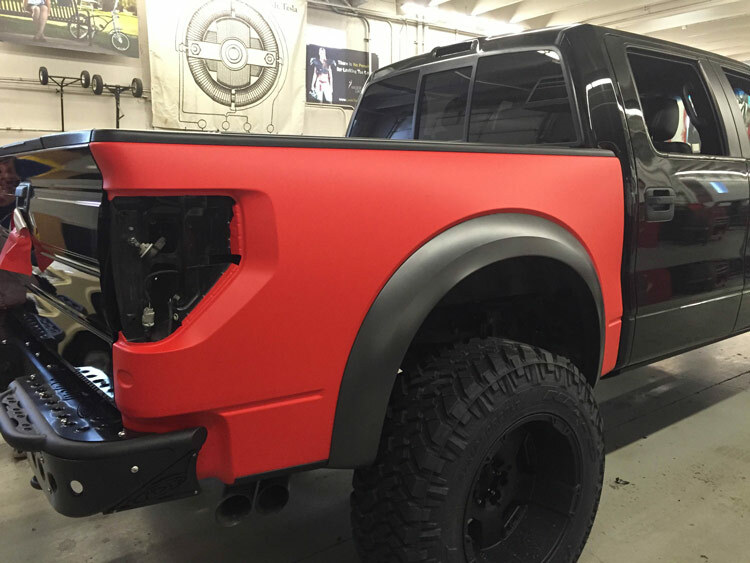 Below are some pictures of the finished Raptor, wrapped in 3M’s Matte Red!